← Memory Sports – I am hooked! I’d like to thank you for the idea of “large memory spaces” which is really thrilling and I’m on the verge of building my own ones (one related to history till 1900, one for 1900+ years, one for specifically “all things Egypt” as that is a major country-project I’ve begun dealing with now). However, I would also like to ask you one question before I begin, very practical one: unlike you (from what I understood between the lines), I don’t live at a permanent place; probably in 2 years I am going to move, then live somewhere else for other 3 years, then perhaps settling down for a longer time span at one place. As an experienced mnemonist, do you think it makes sense to start building the spaces where I live now? But what happens when I (or you) move? Re-writing all the loci spots into new palace/memory space is probably not realistic… and I am too much of a newbie to mnemonics to know if you can operate with, i.e. two complementary places. Also, I suppose, when moving somewhere else you lose the (critical?) advantage of going through the space and using them as “flashcards” prompting active recall of the stuff stored in there. What a great question! I am so embedded in my landscape now that nothing would make me move. But as Miroslav points out, that is not practical assumption, especially for those much younger than me. The first idea is to use public spaces which are unlikely to change. A quick check on Google images of Prague and – wow – what a stunning city! The bridges across the Vltava River, as in the image above, looked wonderful to use as a set of memory loci. 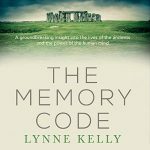 One solution which was talked about in memory treatises written in the Middle Ages was to use an imaginary memory palace. One suggested way back then was to use Noah’s Arc as described in the Bible, but maybe something a little more contemporary is required. Some people use sets of locations from their favourite films or books. It is a matter of creating the palace and a set of locations from that film or book using your imagination to add in extra locations or details. You would then, I expect, draw that memory palace and label it and keep it forever as your reference. 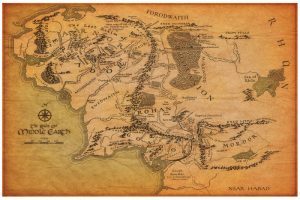 You could even use Tolkein’s Middle Earth. You could create your own imaginary world much as fantasy writers do. In fact, I have created imaginary worlds before when teaching science fiction and fantasy writing and I have just decided to try this as a memory experiment because I loved doing the maps and creating the worlds. One quite common virtual memory palace is to use one from a video game. I’ve never tried this so I have no idea how it would work but I gather they can be very effective. Another palace people use is this school or home from childhood and re-create these locations by drawing maps, just adapting any blurry remembering with imagination. Commonly recommended in classical Greek and Roman, mediaeval and Renaissance times was using a famous building. 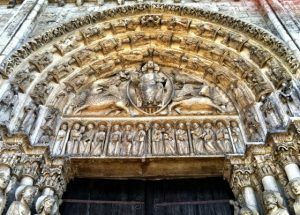 Gothic churches were extremely popular and even designed with this use mind. 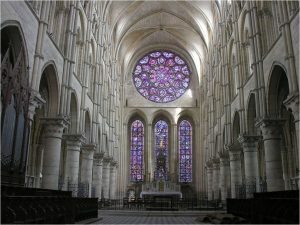 Chartres Cathedral, as in the three images shown, is often discussed in these terms. You can use any streetscape. 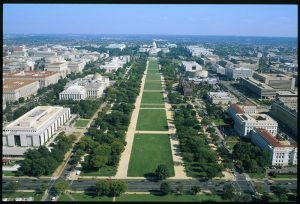 I would imagine the National Mall in Washington, for example, would work a treat. With the White House and all the Smithsonian museums and plenty of images online, you could easily create a memory palace that could be infinitely adaptable by adding the internals of each of the buildings if you wanted to expand it. 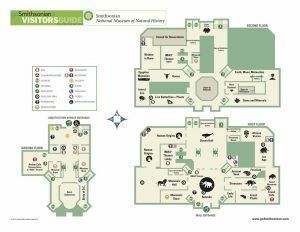 There are visitor maps online for all the buildings. See below. This is really fun thinking about all the possibilities, but I’ve got far too excited about creating my own fantasy world to write more. Sorry! Gotta go and start drawing! 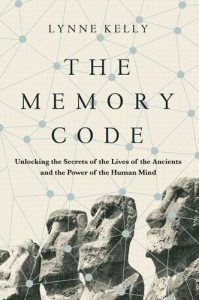 This entry was posted in art of memory, medieval, memory, memory palace, memory places, Memory Spaces, method of loci, mnemonics, The Memory Code and tagged art of memory, medieval, memory, Memory Spaces, memory systems, method of loci, mnemonic devices, mnemonics, The Memory Code. Bookmark the permalink. I was captured by the interview you gave on Radio New Zealand. I have the book on order but can’t wait to bring up the topic of the hand held object. When I lived in Great Britain (the island) as a child there was a tradition of carrying a stone up a mountain or any hill and placing it on the cairn at the top. No-one knew what the tradition meant. It had been forgotten. Silbury Hill is build of stones and objects piled up over hundreds of years. It seems as if they just had to keep adding to the cairn. Were they giving something to the god of that place or was it part of the memorising of tribal stories? What would the story have been? I’d like to hear your understanding of this preliterate behaviour. Thank you for writing and referring to such an interesting comment by Leary. The idea of bringing distinctive stones to a site making reference to other locations is quite often found in archaeological reports. It is particularly obvious at Newgrange, Knowth and Dowth in Ireland – ignore the terrible reconstruction of Newgrange where the archaeologist decided the stones were used for a front wall. As for Silbury Hill, there is a wide ditch right around the mound which provides the rubble of which it seems to be built, if I have read the archaeological reports correctly. That wide ditch was certainly evidence when I visited. It was also built in a number of phases, some quite rapid, which doesn’t match Leary’s claim. BUT … I think that what he says is also likely and can be happening as well. I wonder if there are foreign stones in there as well. There is a flat top and evidence of a path up to it, so the shape does offer public and restricted performance spaces which you will find I give great importance to in the book. There are mounds the world over without burials, such as is the case with Silbury Hill. The handheld objects I talk about are decorated and used as memory aids, such as the Maori genealogy staves, Rakau whakapapa. 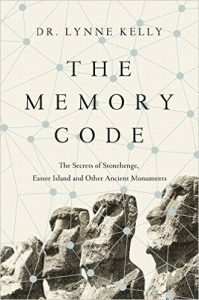 Given my biases, I am going to argue that Silbury Hill was definitely part of memorising the stories, but that doesn’t eliminate other ideas also being the case. Ceremonial spaces can serve a multitude of purposes at the same time. Thank you, Lynne, for answering my question. I have created one memory palace from a computer game location and it works quite well, its advantage over a real-world space being I instantly had a map of the palace on hand. But for a “large memory space” I’m looking for a place near where I live so I walk through it often, ideally every day. I could always do an imaginary walk or review of my palace but I would like to also be reminded of what I’ve stored there half-voluntarily, i.e. when I gaze over a particular tree on my way home and say to myself “oh, this is where the memory of what happened in Europe in 1840s is”. That sounds great, Miroslav. I’d love to hear how it goes. If Prague is half as beautiful as the photos I saw when I googled it, walking there must be an absolute pleasure with lots of spectacular buildings, bridges and streetscapes to use. I must try using a computer game as an example. But I need to choose a game first. Those I used to play are are not still around. I’ve in the end decided to use the environment I know best – which is where I spent first 20 years of my life. So I don’t live there anymore but I do get to see the places once a month or two. The key to my decision was that I realised I can just rely heavily on Google Maps Street View. I’ve designed three connected large memory palaces in the neighborhood and one really long history journey through them, from 10 000 BC do 2016. I have very good orientation in the space so the only thing I need is to look at a specific hook-loci on Google Maps when I put new event in the palace. I use the space-length as a measure of time, as you inspired me to do so (i.e. for 0 to 1900, one block is usually 50 years, or for 1900 to 2000, a decade per block). Works great! That is so good to hear, Miroslav. I am delighted that it works well. I find myself using my history walk all the time in everyday life – far mroe than I would have expected. I look forward to an update. Though it really helps when your memory spaces are places you’ve physically experienced, it’s actually not necessary at all to physically be in the place/space/journey to recall or link information. I’ve lived in 17 different houses and i can close my eyes and walk through them all. Every job I’ve had, every friends house I’ve stayed are all available for memory spaces. I’ve also delved into imaginary palaces and have found them, overall, to be quite a bit more work. You just can’t beat the viscerality of experiencing a space in real life for really making that place clear in your memory. I’ve found that creating an imaginary space adds another layer of complexity to the whole process – especially for someone just starting out. That being said, I’m currently working an an imaginary space to house human history. This space is a very long rainbow road, with each color representing a part of the world. It’s a somewhat complex system to explain, but suffice to say I should be able to link whatever historical information I learn. The only reason I’ve had to create this space is that I’ve never been anywhere appropriate for this task. Initially, I was going to make a “Hall of History” similar to the Noah’s Ark you mentioned, with every slat and pillar representing a piece of information. After working on it a bit, I realized why it was probably a cloistered Irish monk who came up with this idea. Who else has the time to construct it? Anyway, it seems to me that once one gets the hang of it, pretty much anything can be a memory space. When I meet people, I find a distinctive facial feature and use it as a memory space to store the image of their name. If I meet a girl with wide nostrils and her name is Karen, I just imagine her nostrils stuffed with carrots – my image for Karen. Thank you for such a fascinating comment. I agree that almost anything can be used as a memory space. I think those which have been used by indigenous cultures and Western mnemonists are those that have evolved as being the most effective in terms of their own requirements. They all have a similar basic structure, though, that of a set of ordered locations, each able to be distinguished from the one before. I am astounded by your ability to remember all your previous houses. I just tried to do the house we left 6 years ago and I really struggled, but I have a very poor natural memory. I expect that had I encoded a sequence in it and then revised it regularly, it wouldn’t matter about moving away because I would still have it fresh. I have also found that naming each location makes a massive difference. So my songline in the nearby bush is a set of locations that are all named for a rock or tree or anything else which could be tagged. If I sing the sequence of names, I can see every single metre of the track which is now getting close to a kilometre. Nothing like the hundreds of kilometres in Aboriginal songlines, but I am still pretty happy about it. I hope to get lots of comments like yours over the years to see how differently our brains function, and also how similarly. I am going to try an imaginary landscape. I’d love to hear more about your human history memory space. Please keep writing – I find what you say absolutely fascinating and would love to follow your journey. I’d just like to segue on “I have created imaginary worlds before when teaching science fiction and fantasy writing” and mention that among the thoughts that recur in my mind as I read your book are the applications for fiction, specifically to what extent your ideas could be used by an author writing a story set in a (historical or imaginary) oral society. I can imagine a resource for worldbuilders giving tips how to construct realistic oral societies, not dissimilar to Mark Rosenfelder’s “Planet Construction Kit” but with more of a nonliterate focus. But this is speculative. I’ve written some fiction myself (including a children’s poem with a crocodile that encodes almost no biologically accurate information whatsoever) but not really anything on a worldbuilding scale. What a fascinating comment, Adrian. No idea where to start with replying but my brain is spinning. Please add more whenever you want to. I’d love to hear more of your thinking on this, or any comments from anyone else.